Archer Heights grocery store and then shot a man in the head while making his escape, a convicted felon was sentenced to 25 years in jail. 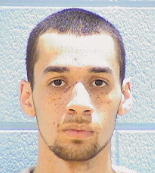 Jose Guerra, 22, of the 5800 block of South Fairfield, pled guilty to attempted murder last week as part of a deal with the Cook County State's Attorney's Office. He is now serving time at the Stateville Correctional Center near Joliet. 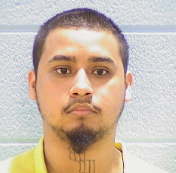 Also convicted and sentenced last week by Cook County Circuit Court Judge Timothy Joyce was Guerra's accomplice, Estevan Rosario, 20, of the 2800 block of West 59th Street. He also accepted a deal and was sentenced to 17 years in prison. He, too, is incarcerated at Stateville. 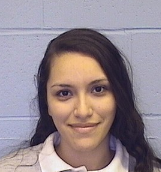 Rosario's projected parole date is in 2027, according to the Illinois Department of Corrections. Guerra's projected release date has not yet been determined, according to IDOC. The news was announced at the May meeting of the Archer Heights Civic Association by Michael Kovac, AHCA first vice president and point man on fighting crime in the neighborhood. Guerra, convicted of armed robbery in 2010 and sentenced to six years in prison, was released on parole in 2011. Almost a year after his early release, he walked into Supermercado Rivera, 4334 W. 51st St., just after 8 p.m. Friday, Dec. 14, 2012 with Rosario. The pair robbed the store at gunpoint, jumped into a waiting van and sped away. Seeing the crime, the 36-year-old brother of the store's owner got in his car and followed the van. In the 5400 block of South Komensky, the van stopped, the door was opened and Guerra shot the victim in the head. The victim was taken in critical condition to Mount Sinai Hospital and was in a coma "for quite some time," Kovac said last week. "More than three years later, he is still severely handicapped as a result of the shooting. His life is permanently and totally changed. He will never return to his normal self." Gabriela Contreras--Guerra's older sister--escaped capture. However, police broke the case open in January 2013 when officers saw Guerra drop a gun on the ground near his home. He was arrested, and the gun matched a description provided by a witness at Supermercado Rivera. Detectives pieced the puzzle together, and all three were charged in connection with the robbery and shooting. Contreras pled guilty as part of a deal in December 2014. She is currently serving a six-year sentence at IDOC's Logan Correctional Center near the Central Illinois town of Lincoln. Her projected parole date is in 2018. Kovac is a retired Chicago firefighter and key member of the Chicago Lawn (8th) District court advocacy team, a group of volunteers who attend criminal court cases and through their silent witness, remind judges of the community's demand for justice. They also are in court to show support for police and prosecutors, as well as provide comfort to crime victims and witnesses. "It's been a long road," Kovac said last week. "The court advocates did our part to get a measure of justice for the victim and for the whole Rivera family. We thought it was important to show the Riveras that the community is behind them, that we support them, and we did." Those interested in learning more about being a court advocate are advised to call (312) 747-8724 and ask to speak with the CAPS Office about the court advocacy program. Here is a Southwest Chicago Post video about the court advocates. How about NO parole? Sentenced to a six year bit, on the streets ONE year later, robbing and shooting someone in the head???? When is the judicial system going to be held accountable? It's broken people!!! !